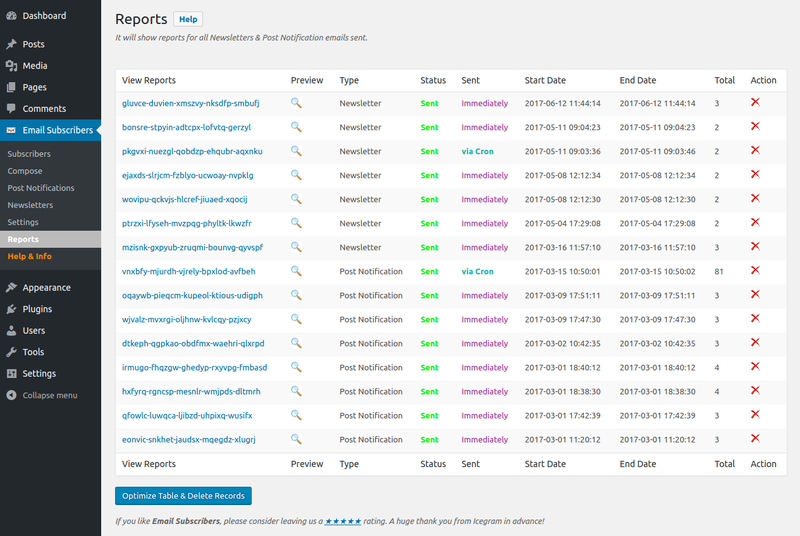 Email Subscribers allows you to check sent emails (newsletter/notification details) with email preview on Reports menu. You can also check newsletter/notification status i.e. whether your newsletters are being read or not. What does Optimize Table & Delete Records button do? It deletes your older records of the emails sent so far.